A Saturday evening joyride in one of the town’s Public Works Department vehicles resulted in charges of theft and drug possession for a Bangor man. HOULTON, Maine — A Saturday evening joyride in one of the town’s Public Works Department vehicles resulted in charges of theft and drug possession for a Bangor man. Houlton Police Chief Tim DeLuca said Tuesday morning that Jared Jameson, 30, of Bangor was charged with theft by unauthorized taking as well as multiple counts of drug possession after he reportedly stole a three-quarter ton truck from the parking lot of Hogan Tire. Police also charged Jameson with seven counts of unlawful possession of drugs, including heroin, methamphetamine, and Vicodin, as well as one count of aggravated trafficking of schedule W drugs, which is a Class A offense. 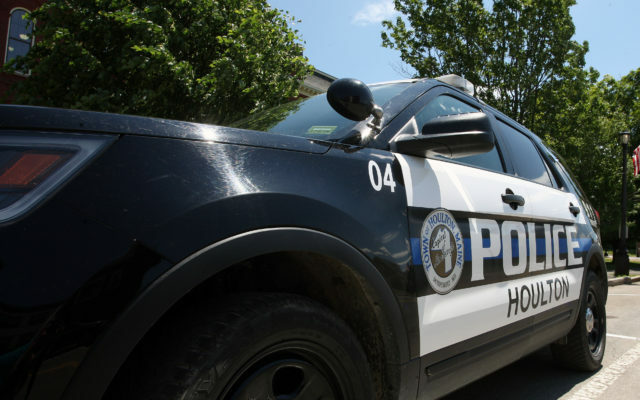 Police were tipped off to the theft by a report of a town Public Works vehicle being driven erratically in the parking lot of Hogan Tire on the Bangor Road. According to the chief, Jameson was given the wrong set of keys when he went to Hogan Tire to pick up his vehicle. The keys he reportedly was given went to the town truck. After conducting a standardized field sobriety field test, the officers determined that Jameson was not impaired. They then charged him with the other counts and transported him to the Aroostook County Jail. No damage was done to the Public Works vehicle.